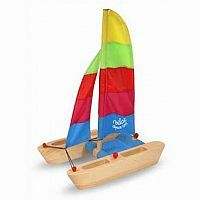 Vilac's colourful Catamaran is made from unfinished wood and is complete with rigging and space for passengers!. For Kids 3 to 8 years. Made in France by Vilac. 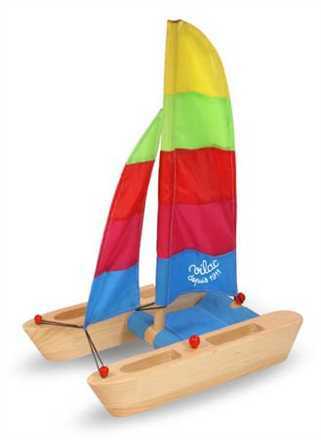 This beautiful Vilac Catamaran features a sleek design and durable water resistant sail cloth. A durable wooden bath and water toy that offer children hours of fun in the bath tub, creek or pound. It also makes a handsome addition to your bedroom bookshelf!